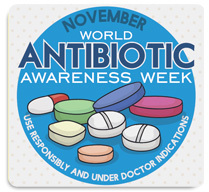 I want to talk today about when antibiotics will help, and when they won’t. Viruses can make you feel really bad. Don’t think that I mean that you are not sick when you have a viral infection. In fact, the worst I have ever felt was when I had a viral infection. I just want you to know that antibiotics are not always needed. Antibiotics may seem to make us feel better, just because the viral infection improves with time. Sometimes, we just need time, and all of those things your grandma always told you to do when you were sick, like rest, drink lots of fluids, hot tea, steam, etc. If you have questions about whether your grandma’s home remedy is the right one for you, just email one of our doctors. We are happy to help.